If you are the Netflix movie or TV series lover, then you should know that now you can cast Netflix to form your smartphone device to your TV by connected through Roku. There is no need for any other software or device supported, because of the DIAL an open protocol by the Netflix app supporter. This function is by default which does not even need an update. This device’s connection from phone to TV by Roku is also supported by Youtube app which means that from now you can even cast your favourite or latest video songs drama series and many more on your TV with Roku device. It is very easy for Android taskbar to Roku because of the default supported function on apps such as Youtube and Netflix by following the instruction. 3#. Tab on the cast icon from the device, scroll down to view shortcut above notification bar. 4#. The system will automatically find the Roku on same network. 5#. Now you can cast the video you like to watch on TV. It works perfectly to cast Youtube into Roku from the computer, but the DIAL protocol is only working on Youtube and Netflix. It is possible to cast videos into Roku from your local storage and video channels, this works due to the screen mirroring function with third party apps. This article is also about the specification details of how Roku cast from pc Android or mirror Mac to Roku. 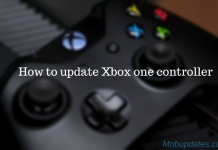 Make sure that for this method you need to enable the screen mirroring. 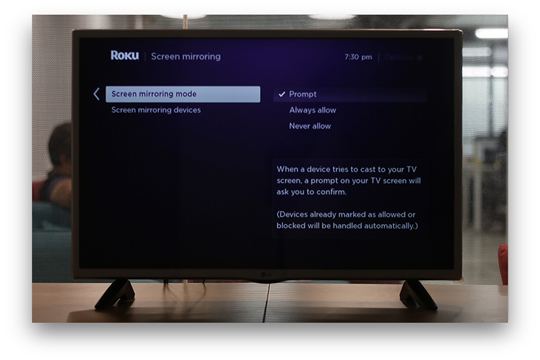 It does not matter that you cast Mac to Roku or window to Roku you need to unable screen mirror from the Roku. Note: Screen is mirroring mode set on Always allow or Prompt. Both connecting device are on same Wi-Fi network (For proper work). It is possible to project the Window 8/10 screen cast into TV through Roku with the help of Miracast which is supported to the entire windows version. 1#. 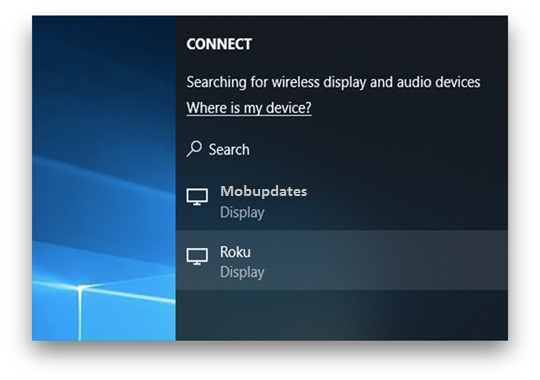 Connect Your Window system to the same Wi-Fi as Roku is already connected. At the bottom right to task bar click on the notification button, here more than one option are shown search for Project. 3#. You will get the list of device available for projection search for Roku and click on it. Get a prompt on Roku and allow the device for a project to your TV. 4#. The screencast box on TV also allow that by the use of Remote. 5#. Here you will notice that when you play any video from the local storage or the internet browser, it will automatically stream to Roku. 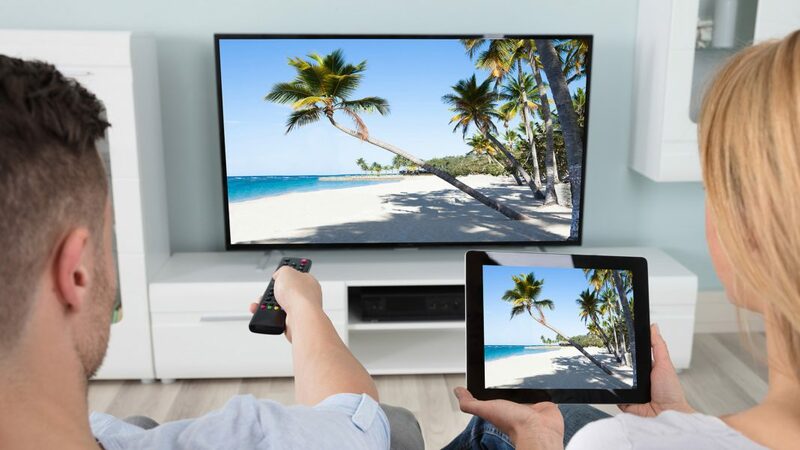 The Miracast is supported to Android version 4.2 and above which is cancel due to the marketed under and protected by Google Cast. But it still works from Miracast protocol by Android users to cast their phone screen into Roku by using Miracast. 1#. Go to setting from your Android device and search for display. 2#. Tap on display once to open a new set of option, Click on Cast Screen button. 3#. 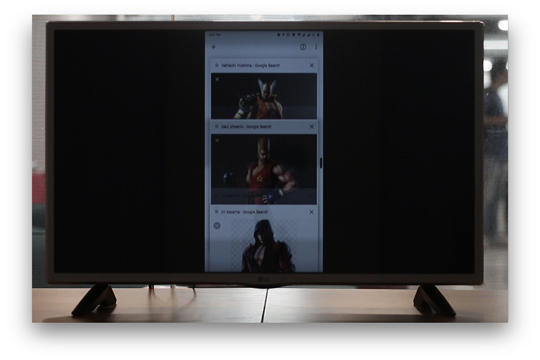 If you are close to multiple screencast option which includes Roku for your phone screen projection. Click on the Roku and you are connected successfully. Sometimes it gets very tricky when applying Screen Cast on Apple ecosystem. We need to use a different method by using Roku to works properly and for that, we find the best method to cast the Apple device on Roku. Miracast does not work on Mac system and using the marketed under and protected by a registered trade name of Mac Airplay for wireless streaming from one side to another ecosystem which does not show that Mac user cannot cast Macbook to Roku. The best way to Roku cast on Mac with the supported help of chrome extension which is already tested personally and works smoothly. 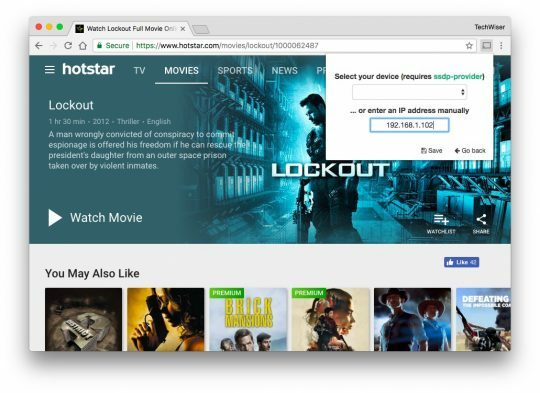 Cast chrome to Roku extension allows the Mac display to stream to Roku by a wireless method, check it out how through steps. 1#. 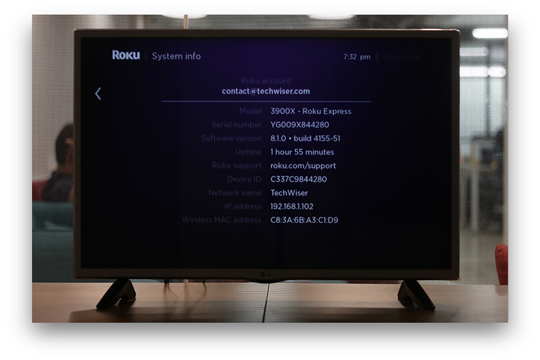 Now install the Rokucast on your Roku (CL9D5D). Follow the Link (Sometimes it signed out for security reason, please sign in again to continue). 2#. You will see the warning, just ignore it. 3#. Once you did installation go to Roku setting and click on update. 5#. Connect both Roku and computer to the same network. Also, note your Roku IP address to notepad or paper which you need for further assistance. 6#. At your, Mac Pc install the Roku on Google Chrome. It is not available on Chrome store, get it from the CRX file from other source or follow the link. 8#. If it doesn’t work that means that developer mode is off, so turn it on. 10#. Now you will get a new window popup, where you enter your above noted Roku IP address and click “go back” icon. 11#. 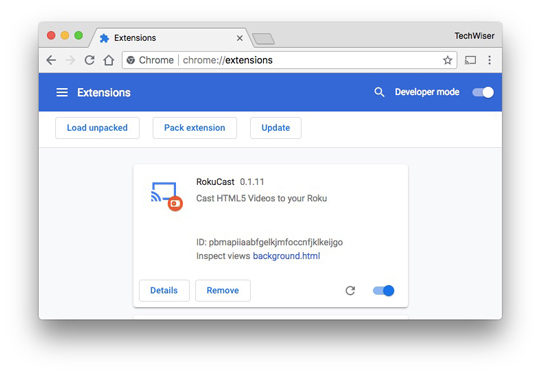 Pay any html5 video on your Chrome browser and then click on the Rokucast extension (small button of cast mention next to the video file). This will allow your Roku to receive your send video link. 12#. Enjoy your video on your Roku which is directly fetched videos from internet same as Chromecast. You can close your Mac and enjoy Roku screen mirroring Mac possible system. You can also cast your iPhone & iPad without Miracast protocol but you cannot stream your iPhone/iPad screen directly to Roku. There is an official app available for the Roku to stream the contents to your TV through iPhone/iPad. Download the mirror iPhone to TV app from the official iTunes store and stream your iPhone/iPad to your TV. This method does not work outside the US, which means if you are from anywhere outside the US then leave this method. 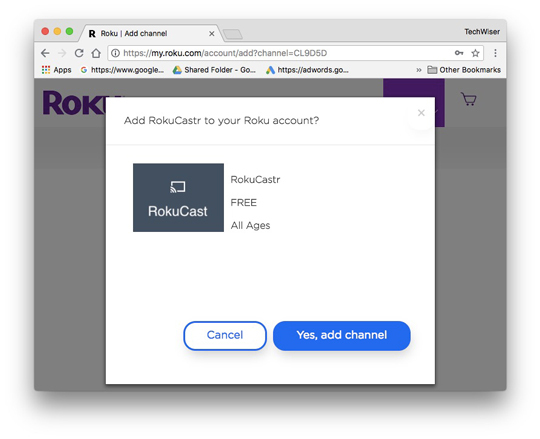 We discuss in this article how to cast to Roku from pc with possibilities in different platform and there is not a limited function to broadcast channels there is a cast to Roku from chrome to connect your local device to stream the contents. 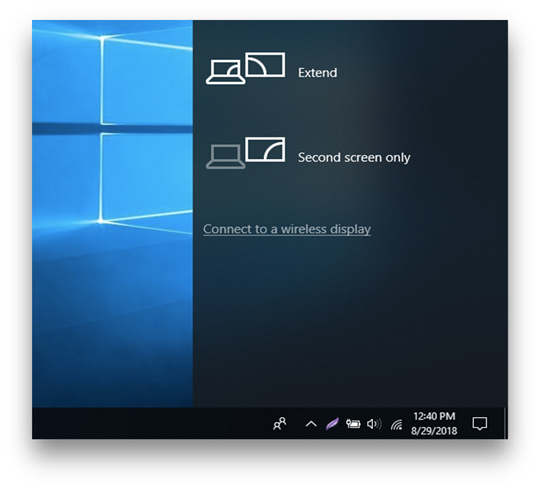 We also studied how to stream your Windows Pc’s version 8 or above desktop screen with Miracast. 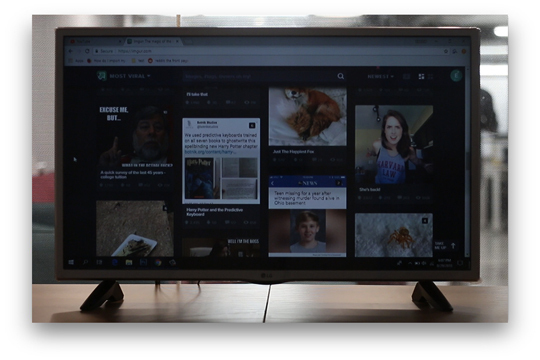 And this app is also linked with Android device to screencast by inbuilt Miracast and stream your Android device screen to a TV which your best advantage. Still, the majority of the device can be cover by different methods to cast the screen to Roku. If you have to use any other device to cast on Roku then shares with us in the comment section.